Three men have admitted running a dark web business selling the potentially lethal drugs fentanyl and carfentanyl to customers across the UK and worldwide. The gang who shipped lethal drug across the world from base in Morley. Left to right: Lee Childs, Jake Levene, Mandy Lowther. 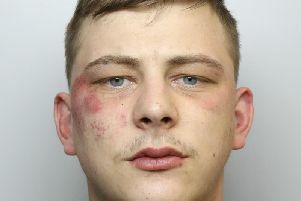 Levene, of Turner Close, Wakefield, controlled the unit with Lowther, of Cottingley Springs, Morley, Leeds; while Childs, of Bedale Court, Morley, Leeds, was responsible for packaging and posting the drugs to customers. Childs was captured on Post Office cameras sending hundreds of drug packages through the mail. Levene and Childs previously admitted exporting and supplying class A drugs and Lowther admitted the same charges today at Leeds Crown Court. They will return to court for sentencing on September 7. They were arrested in April 2017 after National Crime Agency officers and West Yorkshire Police raided the drugs facility. Inside, investigators discovered an office area and quantities of fentanyl, equipment including containers of chemicals, a vacuum sealer, funnels, digital scales, and distinct areas for mixing, blending and heating. Officers also discovered 677g of pure carfentanyl which equates to millions of lethal doses. Heavy duty gloves and two respirator masks were also found which the men wore to protect themselves while mixing and packaging the drugs. Lowther was admitted unconscious to Leeds Accident and Emergency on 20 February 2017 and transferred to the intensive care unit. He was in a coma and diagnosed with a hypoxic brain injury. His illness was linked to exposure to fentanyl and carfentanyl. He later recovered, but despite his near-death experience continued to supply the deadly drugs. A laptop in the unit showed the ‘UKBargins’ site within the AlphaBay dark web market - which was taken offline following an international law enforcement operation involving the NCA. Their website ran the message: “Welcome to UKBargins. Our products & their purity: Carfentanil – 99%. Butyr-Fenanyl – 98%. Furanyl-Fentanyl – 98%. 4-Fluroisobutyrfentanyl – 98%. U-47700 – 99%. We also have a Fentanyl HCL /// Manitol Mix & Furanyl-Fentany/// Mannitol Mix. “I WILL NOT GIVE ANY INFORMATION ABOUT FENTANYL OR ITS ANALOGUES AS THE CUSTOMER SHOULD ALREADY OF RESERACHED THESE CHEMICALS BEFORE EVEN CONTEMPLATING USING THEM AS THEY ARE EXTREMELY DANGEROUS & LETHAL IN THE WRONG HANDS”. Investigators recovered a “To do” list in Levene’s car which reminded him to “find new CF supplier” as well as pay his electricity bill. Text messages showed Levene and Lowther arguing about the workload of packaging up the drugs. Greg McKenna, regional head of investigations at the NCA, said: “This operation has resulted in the closure of an organised crime group sending horrifically dangerous drugs across the world, and the jailing of the men behind it. “They knew exactly how lethal the drugs were but continued to sell them. “There have been more than 120 UK deaths relating to fentanyl or carfentanyl since December 2016. Detective Superintendent Pat Twiggs of West Yorkshire Police, said: “We worked closely with the NCA to investigate and then dismantle this operation. “Following this investigation significant work has been done between partners to increase understanding of the issue and to mitigate further harm to drug users.